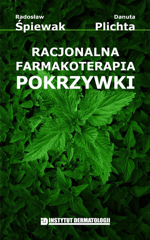 Source: Spiewak R, Plichta D. Racjonalna farmakoterapia pokrzywki. Introduction: "Urticaria" is a collective term for a heterogeneous group of diseases with similar clinical picture, yet diverse in nature and frequently of unknown etiology. The pharmacotherapy of urticaria poses a great challenge to physicians of various specialties. The year 2012 has brought about relevant changes in the Polish Pharmaceutical Law and the reimbursement scheme from medical products. Among others, the reimbursement of drugs has been limited only to indications stated in the Summaries of Product Characteristics (SPC). A debate has started between physicians, Ministry of Health, and the National Health Insurance on the actual status of the "off-label" use of drugs. Among other topics in this discussion, the significant discordance was brought up between therapeutic guidelines published by expert bodies and medical societies, and therapeutic possibilities within the limits defined by the SPC. The dispute on the rules of drug prescription could not be settled without resorting to scientific evidence for the efficacy of the drugs in question. The aim of this study was to analyze the concordance between up-to-date recommendations of Polish and international expert bodies regarding the treatment of urticaria, the Summaries of Product Characteristics in force in Poland, and the scientific evidence for the effectiveness of the recommended or registered drugs. Material and methods: The analysis was carried out from 2012 to 2014, and included 10 recent (i.e. published from the year 2000) Polish and international guidelines of expert bodies on the treatment of urticaria. The list of recommended drugs was confronted with the most recent Official List of Medical Products authorized for the use in Poland and "new registrations" announced in monthly web bulletins of The Office for Registration of Medical Products, Medical Devices and Biocidal Products. Special attention was paid to allowable indications as defined in the SPC. Furthermore, products eligible for reimbursement in the indication "urticaria" were identified. A systematic review of studies on the efficacy of recommended and registered drugs was carried out. The expert recommendations and published results of clinical studies were identified in a query in bibliographic databases Pubmed, Embase, Polish Medical Bibliography, as well as the website of the Agency for Healthcare Research and Quality. Results: Altogether, the analyses included 10 published recommendations of expert bodies, 213 Summaries of Product Characteristics, 387 published results of studies on drug efficacy and 5 other legal acts. Among drugs recommended by the expert bodies for the treatment of urticaria, 203 products were authorized for the treatment of this disease in Poland at the time of this analysis, including 167 oral preparations containing 8 second-generation antihistamines (bilastine, cetirizine, desloratadine, emedastine, fexofenadine, levocetirizine, loratadine, rupatadine), 29 oral preparations of first-generation antihistamines (6 active substances: cyproheptadine, dimetinden, ketotifen, clemastine, promethazine, hydroxyzine), 4 preparations of systemic glucocorticosteroids (2 active substances: betamethasone and methylprednisolone), 2 topical glucocorticosteroid preparations (2 active substances: dexamethasone and hydrocortisone) and one combined preparation of human immunoglobulin with histamine. Among products recommended by experts and licensed for the treatment of urticaria in Poland, high or moderate evidence of the efficacy was available for 7 active substances (bilastine, cetirizine, desloratadine, fexofenadine, loratadine, levocetirizine, rupatadine). Nevertheless, 39% of the second-generation antihistamines available in Poland (66 preparations of cetirizine, emedastine, levocetirizine, loratadine or fexofenadine) were registered only for the official indication "chronic idiopathic urticaria" - a historical term that is inconsistent with the current state of medical knowledge. Among therapeutical products authorized for the use in Poland, yet lacking the official indication for the treatment of urticaria, there were 170 preparations containing one of 6 active substances (cyclosporin A, doxepin, montelukast, omalizumab, prednisone, zafirlukast), whose therapeutic efficacy in at least one type of urticaria has been confirmed in high- or moderate-quality clinical studies. On the other hand, 10 topical preparations of the first-generation antihistamine dimetinden were licensed for the treatment of urticaria, in spite of the fact that such local treatment was not recommended by expert bodies, moreover, there was no published evidence for its efficacy. For the treatment of urticaria in children below 1 year of age, none of the second-generation antihistamines was authorized for use, and only five oral preparations of first-generation antihistamines containing three active substances - dimetinden, hydroxyzine and ketotifen, whose safety profile was questioned by experts. Moreover, only for ketotifen there were published results of three (low quality) studies suggesting its possible efficacy in the treatment of chronic urticaria, and two high quality studies confirming its efficacy in dermographism. Interestingly, various preparations of the same active substance clemastine in identical formulations and dosages were registered in Poland with different age limits. This, in case of the (legal in Poland) replacement of bioequivalent drugs by a pharmacist, might result in an unintended change from licensed therapy to an "off-label" use. Moreover, for some urticaria drugs, the ranges of indications eligible for reimbursement as defined by the Minister of Health were broader than the official indications determined in the SPCs, which in some cases could lead to a rather paradoxical situation that we refer to as "reimbursed medical experiment". With the intention of supporting therapeutic decisions of practicioners, we have compiled a list of drugs with confirmed efficacy in the treatment of urticaria, which are burdened with least possible administrative and legal risks for prescribing doctors. Conclusions: In the field of urticaria treatment, considerable discrepancies exist between expert recommendations, the scope of licensed use of drugs as determined in the official Summaries of Product Characteristics and scientific evidence for the efficiency of drugs in question. The Summaries of Product Characteristics do not reflect the current state of medical knowledge, however, expert recommendations also include suggestions that lack support from scientific evidence or are based merely on anecdotal observations. For the sake of the patients, it is necessary to initiate a substantive discussion aimed at development of new, evidence-based standards of medical treatment, as well as abandon the dubious idea of making therapeutic decisions of physicians depend on the contents of Summary of Product Characteristics. Key words: urticaria, pharmacotherapy, treatment standards, expert guidelines, Summary of Product Characteristics, official indications, "off-label" drug prescription. Ordering: by phone +48 12 416 62 62 or by sending the filled order form. Document created: 17 February 2014, last updated: 18 February 2014.